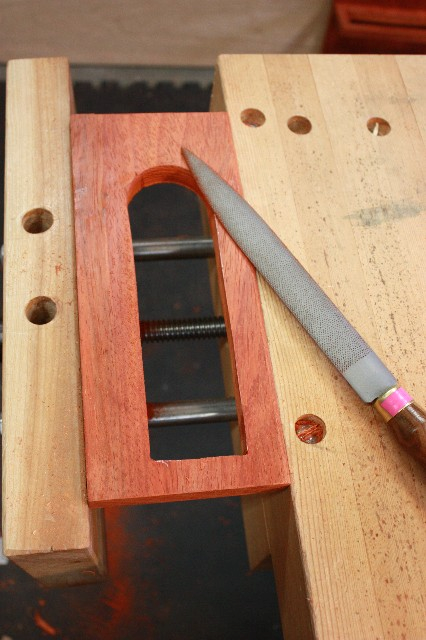 I cut out the shape for the wine bottles to rest in and then used my rasps to clean up the shape. Then on to the glue up. 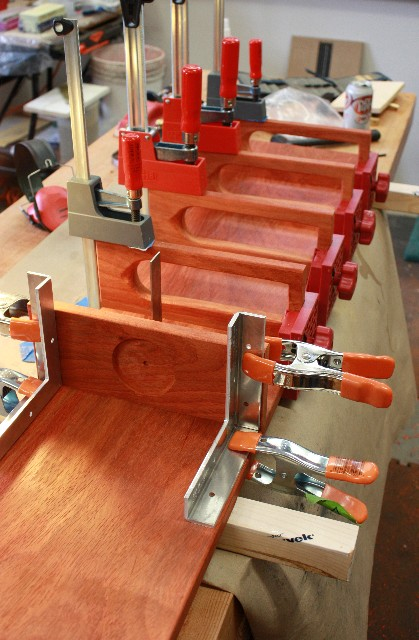 This was a relatively easy glue up. 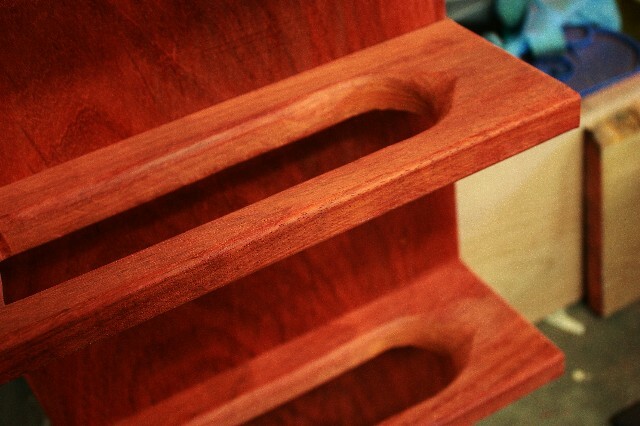 Here’s how the shelves turned out. There’s space for the bottle to sit down in the shelf . The shaping should allow the bottle to sit horizontally.